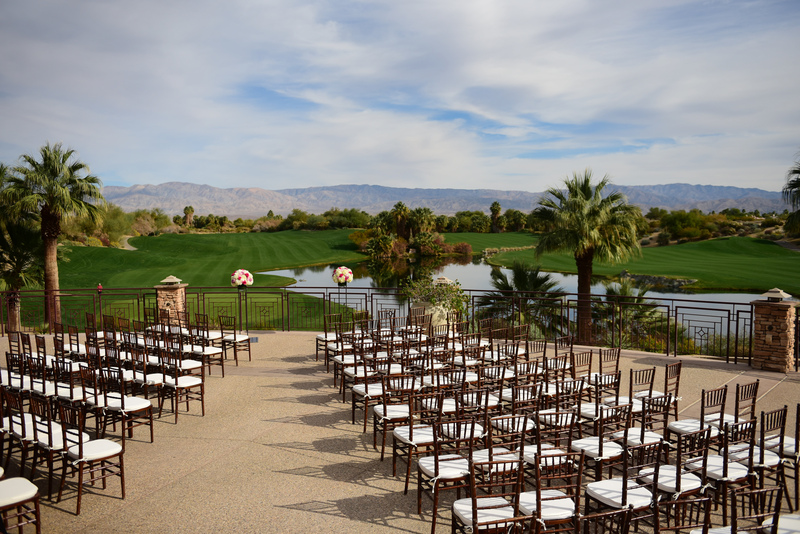 Desert Willow Golf Resort boasts over 33,000 square feet of flexible indoor and outdoor event space. 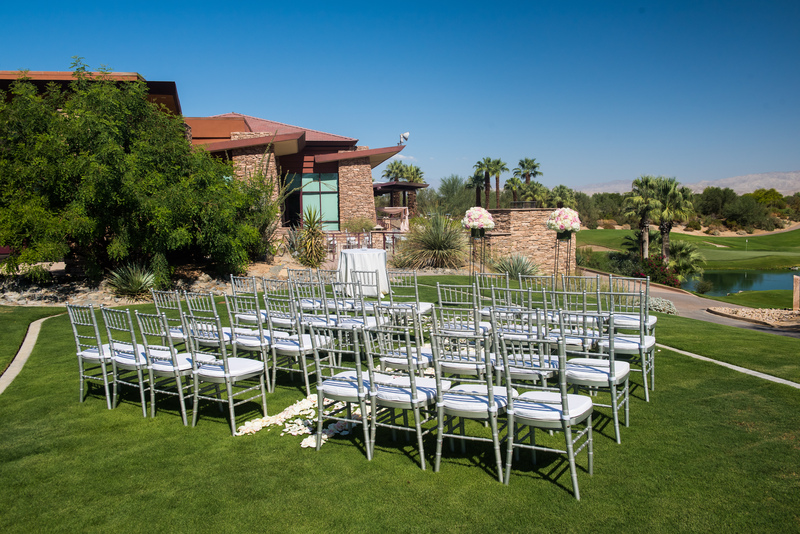 Rivaling the ambience of a private facility, Desert Willow Golf Resort is sought after for wedding ceremonies, receptions, and rehearsal dinners. The mile-long Desert Willow Drive sets us apart with views of manicured fairways and serene desert landscapes. Elegant, yet subtly appointed, our banquet rooms can easily be transformed to accommodate any style or theme. 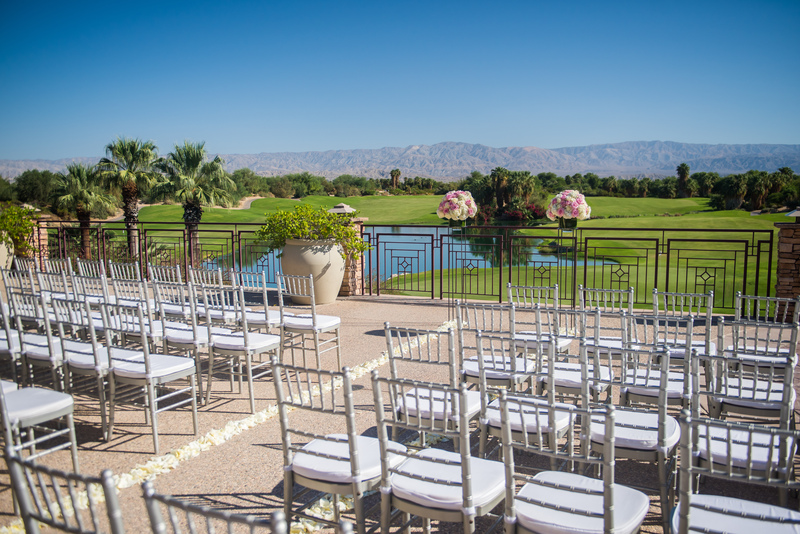 If you're searching for something different from the banquet facility, Desert Willow Golf Resort is the place to be. When you are ready, we invite you to contact our Director of Catering at (760) 346-7060 Ext. 103. 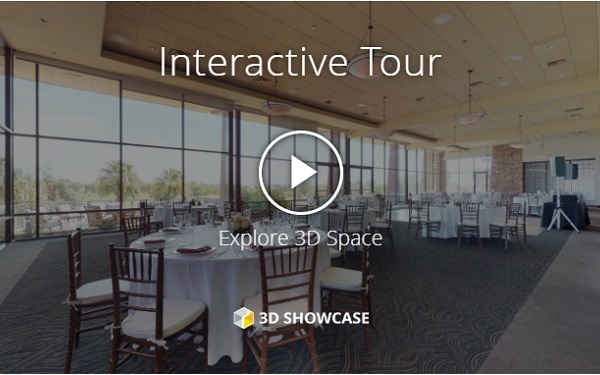 We will be happy to answer any questions you may have, check on date availability, and even schedule a personalized tour of our beautiful grounds and Clubhouse. Or complete our Wedding Request Form for further information.